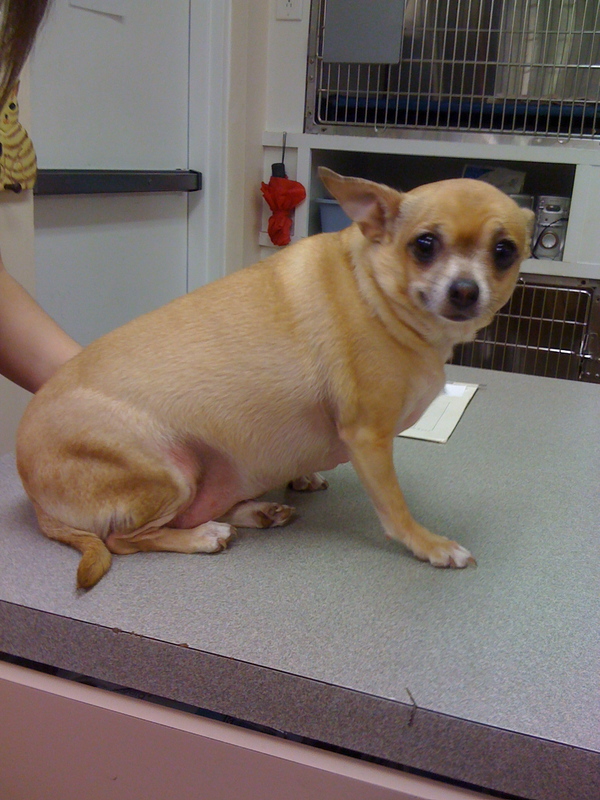 Doc Truli stopped examining the Grade 4 out of 4 periodontal disease loose, infected teeth and focused on Taylor’s eye. 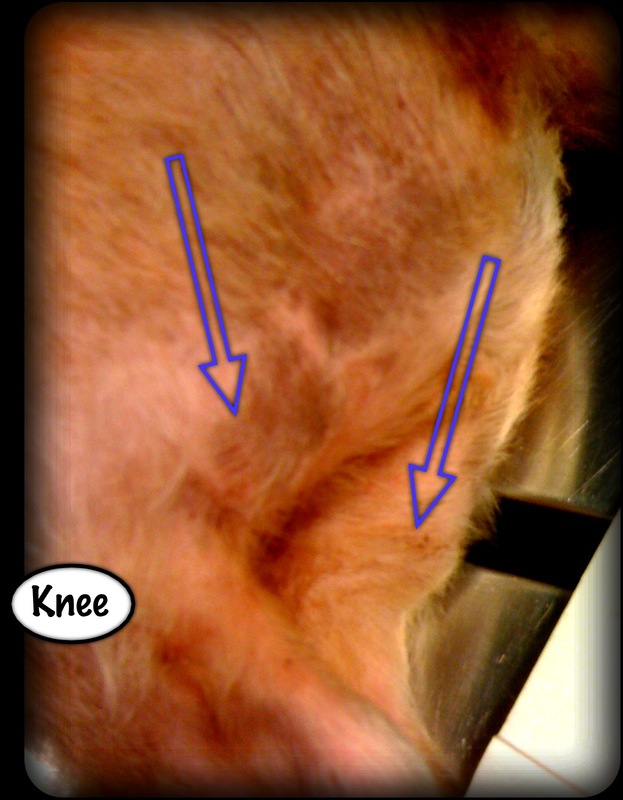 The medial (inner) corner of the fragile golden Pomeranian’s left eye sported a crescent of red inside the eyeball! Hypertension (high blood pressure). Taylor was undergoing an anesthetic procedure and his blood pressure, under continuous monitoring, never elevated above normal. Trauma. Doc was with him every second. No trauma. Retinal Detachment. Examination showed normal retina. Clotting Disorders. Problems with platelets that clot blood or factors (molecules) in the blood that aid in the body’s ability to close up bleeding vessels right away could lead to spontaneous sudden hyphema. Pre-anesthesia lab work showed no anemia (lowered red blood cell count), and we ran stat clotting tests and counted platelets under the microscope right there in the surgery room. No problems. Neoplasia. Cancer could spontaneously bleed or cause blood vessels to rupture. No visible lumps or bumps could be found in the eye. Luckily, the nurse noticed the hyphen right away, so there was time to examine the eye right away before it potentially filled up with vision-obscuring blood. Anesthesia. For reasons unelucidated, anesthesia can trigger spontaneous hyphema. In this case, the body should destabilize and absorb those red blood cells over a few weeks and Taylor would be back to normal. 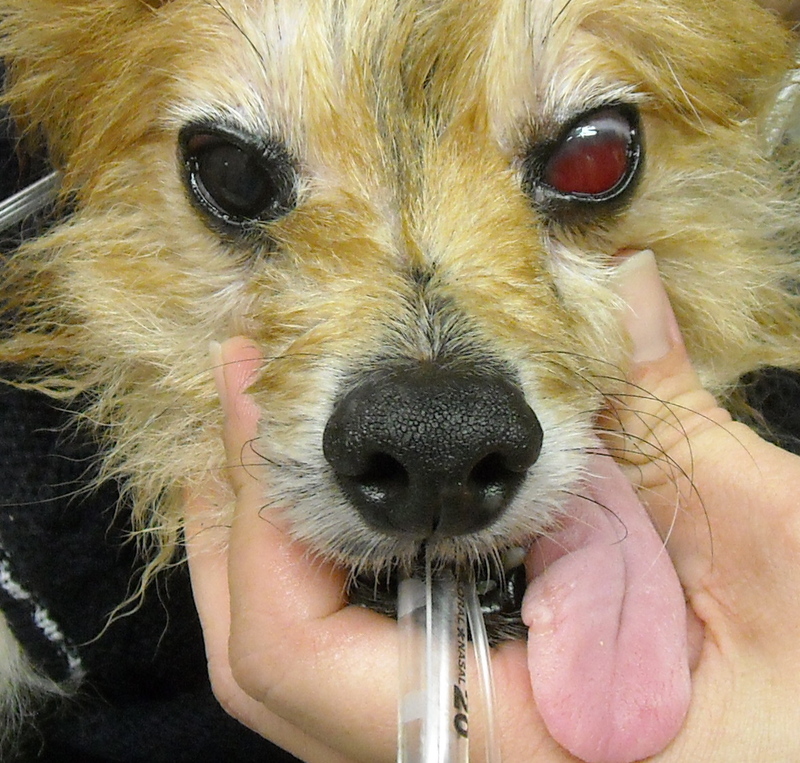 Complete hyphema in a Pomeranians eye. Doc Truli hoped the bleeding would just stop, but the bleeding continued until the whole globe of Taylor’s left eye was cherry red! We quickly finished the oral surgery, in spite of the hyphema. The decision was difficult because Doc wanted Taylor awake and back to normal as quickly as possible. But, Taylor’s loose teeth and infected gumlines needed treatment to help his quality of life. We finished the oral surgery and Taylor woke up without incident. 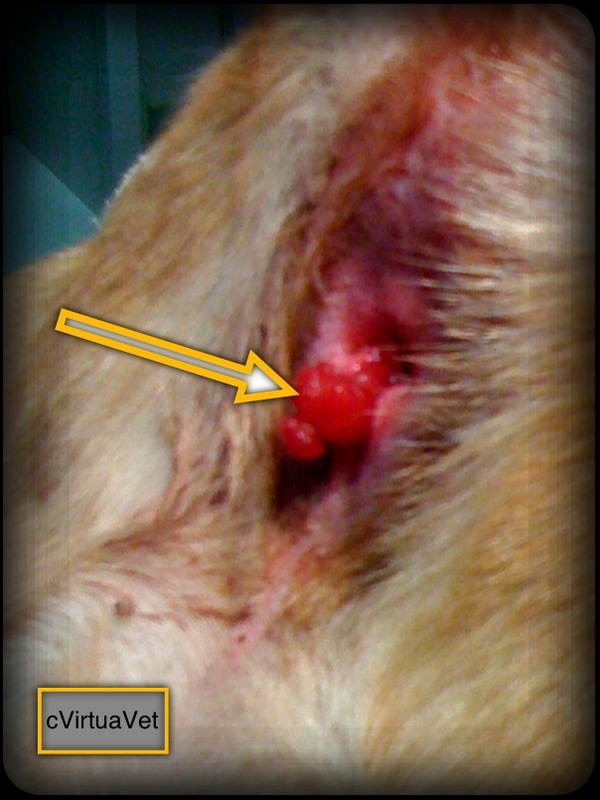 If Your Dog, or Cat’s Eye Suddenly Turns Red, Get to the Veterinarian Right Away! Hyphema can be a sign of a life-threatening bleeding disorder. 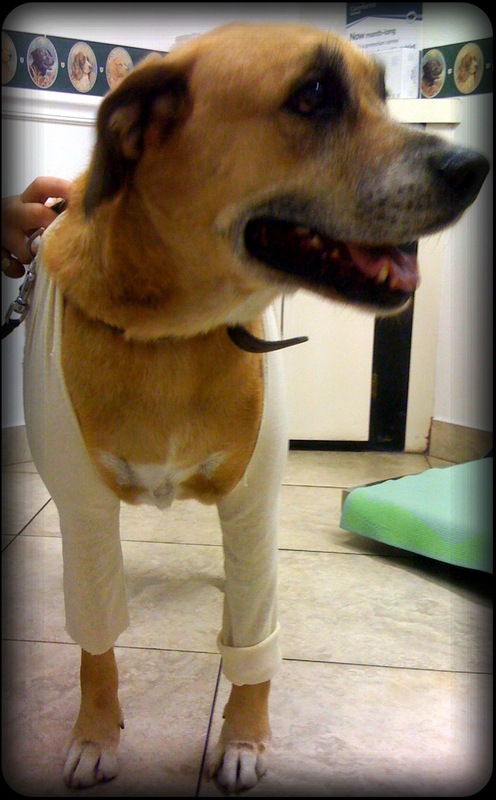 If you delay in getting veterinary help, you could lose your pet’s life! 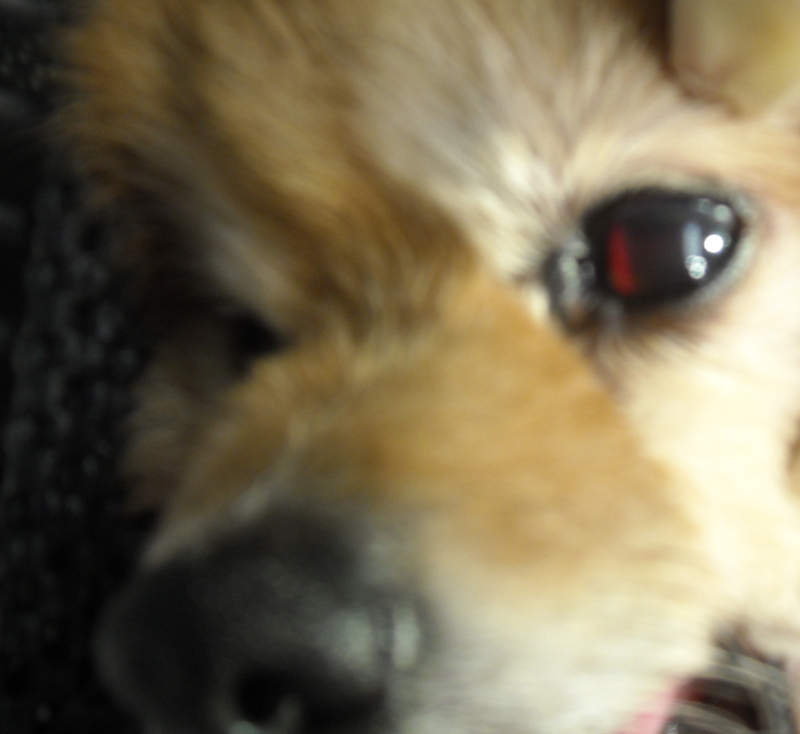 Just last night I notice my dog’s left eye looks just like this with a hyphema. It was like all of a sudden it was like that. 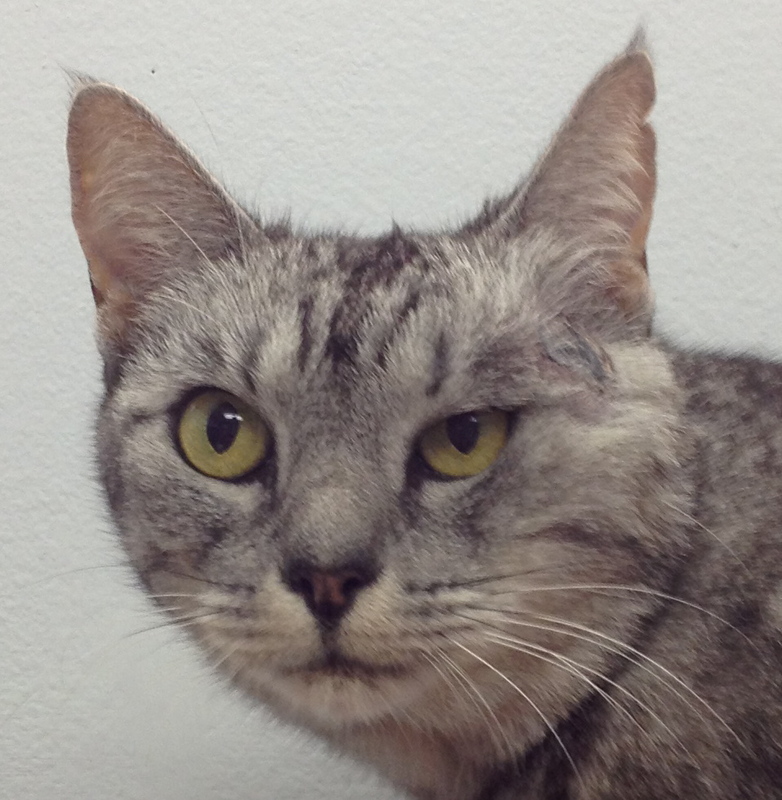 She is 10 years old and is acting just normal and but her right eye is all red and the white’s bloodshot looking as well. She is happy and everything else seems normal, it has just now been 24 hours and I will be calling the vet in the morning. She is playing with her squeek toy right now. There also has not been any trauma to her eye at all that I am aware of. After reading all this information this evening, I am truly a bit worried now!